There are three teacher’s hand books for Happy Chinese/Kuaile Hanyu. 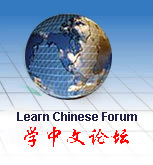 Each teacher’s hand book contains: (1) The steps and methods in teaching, and the keys to the exercises; (2) Expansion and elaboration on the teaching materials; (3) Notes on the language points; (4) Notes on cultural background; (5) Test questions for each unit; (6) Chinese character cards for characters that students are required to write out, with instructions on pronunciation and the order of the strokes. This order is for Teacher's hand book Volume Two only.